Mid-1930s, the Political leadership of the fledgling Germany wants revenge for the defeat in the First world war. The command of the Wehrmacht, forced perevooruzhit the army requires a supply of powerful concrete tools, hoping in the near future without much delay to overcome with their help, the Maginot line. 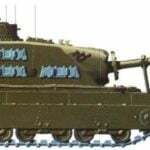 Initially worked through “buildable” version of the guns, going from 7 – 8 pieces weighing not more than 9 t, directly at the firing position. The set is composed of the parts have been delivered to the place by truck. However, its Assembly is cast in a combat situation is required at least six hours. So in the final version I decided to create a self-propelled carriage, which would reduce the time of preparation for firing up to half an hour. 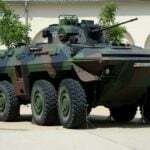 In addition, provided the movement of the unit and its maneuverability. 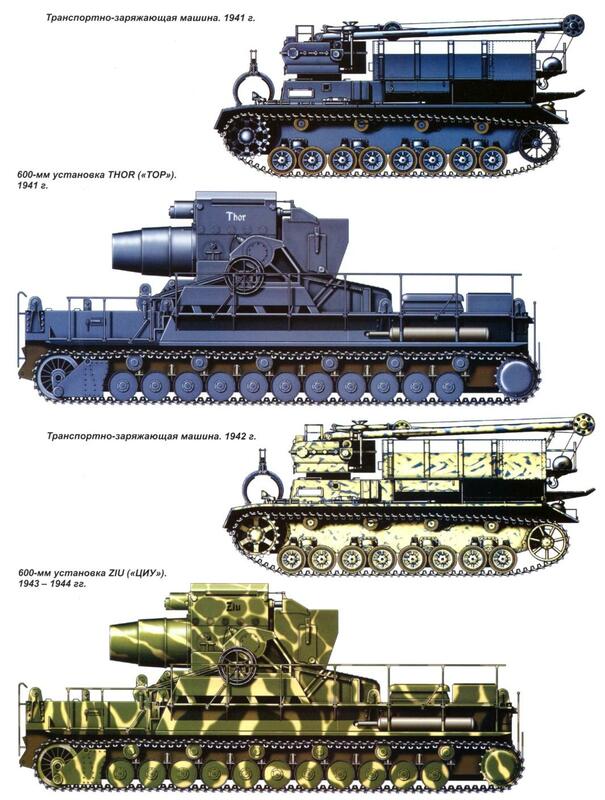 Future mortar was named Gerat 040 (“Gareth”, “040 Instrument”), unofficially it was known as Karl (“Carl”); in the Soviet Union from 1944 used the designation SU-600. In the secret Handbook of the Wehrmacht “German armed forces”, published in 1941, she appeared in the form of “…device 040” with a heavy concrete-piercing grenade. Only in September 1942 in the journal of the German General staff of the Wermacht Die (“Wehrmacht”) was given a drawing and two photographs of the installation. 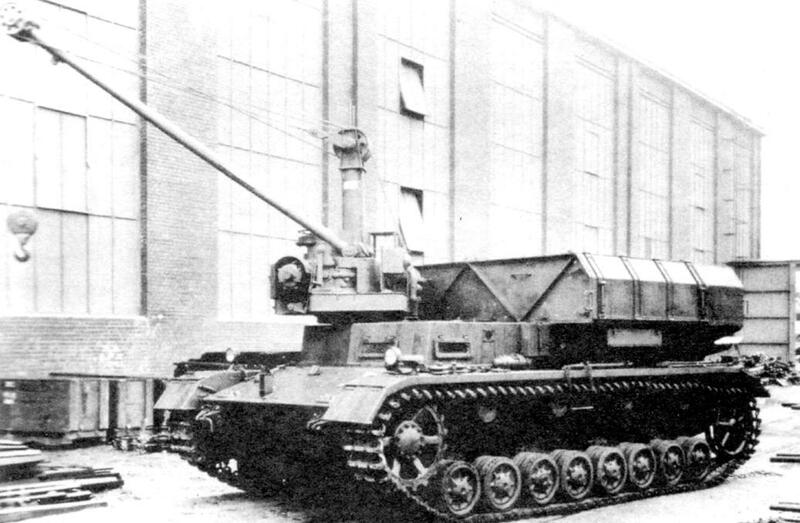 In October 1939 the firm “Rheinmetall” had begun to create a self-propelled gun carriage based on the chassis serial medium tank Pz. Kpfw.IV had a weight up to 25 tons the First sea trials took place in may 1940, However, was the layout, mass and dimensions completely corresponding to a field gun. 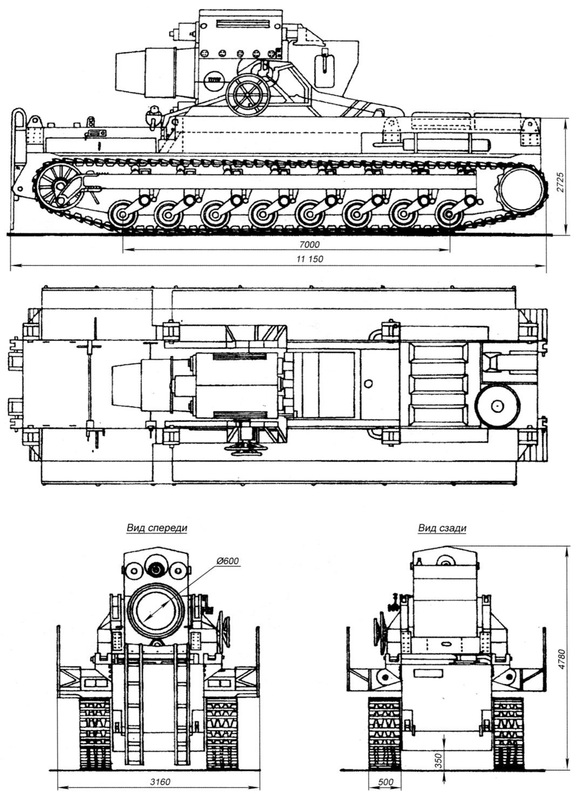 On the tracked chassis was placed welded box from add-on armor plates, separated by transverse reinforcing walls -ribs – for three compartment. In the front compartment housed the engine in the middle of the center – mounted instrument. We note immediately that the firm was made and the military received six units of type “Karl” in the period from November 1940 to August 1941, Each of them according to tradition, was getting his personal name. So, alternately appeared: No. 1 Adam (“Adam”), later renamed Baldur (“Baldr”), No. 2 Eva (“Eva”), later named Wotan (“Wotan”), No. 3 Odin (“Odin”), No. 4, Thor (“Thor”), No. 5 Loki (“Loki”), No. 6 Ziy (“EIC”). For them, the engines were used in two types of diesel MB 507С at facilities №№ 3, 4, 5 and gasoline MV 503А – No. 1, 2, 6, which were subsequently replaced by those same diesel engines. 12-cylinder in-line engine MV 507С of the company “Daimler-Benz” liquid cooling capacity of 750 HP at a fuel consumption of 120 l/h and the stock of 1,200 l, the machine at a speed of 6 km/h could pass for 100 km. The transmission were also of two types. On No. 1, 3 and 6 – mechanical four-speed (three forward and one rear), at No. 2, 4 and 5 – hydro. Two-stage planetary rotation mechanism had a pneumatic servo. Suspension the first two cars, “Adam” and “eve” had eight rubber-coated road wheels on Board, mounted on torsion bars 113 and trucks with a height of 170 mm. the sprocket wheel was in front. 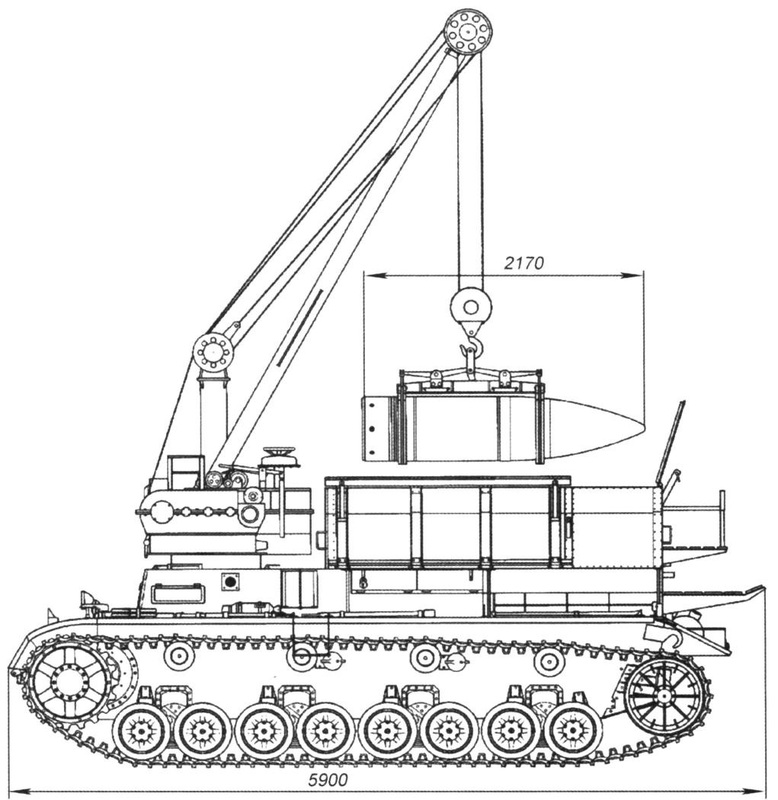 In the installations of the later releases on the torsion bars stood eleven steel rollers on Board, the height of the truck was increased to 240 mm when the number 94. Track width – 500 mm, its contact length is 7000 mm. With the weight of the entire installation 123 000 kg specific ground pressure was 1.76 kg/cm2. During the occupation of the firing position the vehicle had before the shooting down the bottom on the ground for stability when shot, which in the stern there was a lowering mechanism of a lever action. Translation into the firing position from marching took about ten minutes. Installations were set mortar caliber 600 mm. the classic definition is “artillery gun with a short barrel for mounted shooting, is designed for the destruction of particularly strong fortifications and to engage targets hidden behind walls or in trenches.” Trunk mounted mortars served rifled monobloc length mm 5068, or 8.44 caliber, the castle was a horizontal wedge. For opening fire the barrel it was necessary to raise the elevation angle of 55° – 70°. Angle horizontal guidance was only 4°, otherwise it was necessary to deploy the entire machine. After each shot the barrel was returned to the horizontal position for loading the next projectile. Pointing mechanisms worked by hand. Therefore, the rate of guns was very low, only one shot in ten minutes. It should be noted that for the repayment of the recoil of the mortars, the engineers used a two-stage system, in which there was not only a rollback of the barrel in the cradle, but all the guns in the vehicle. 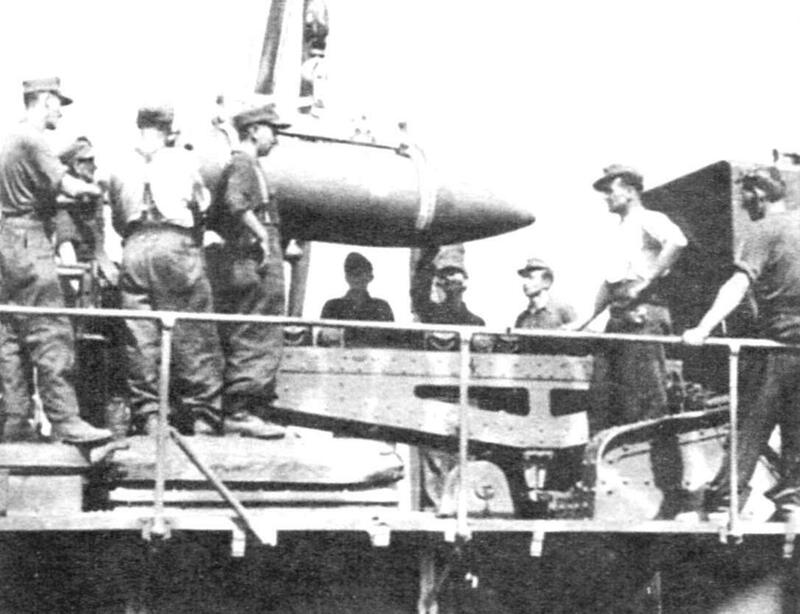 Total rollback was 920 mm, with the weight of the gun was equal to 69 000 kg. Initially, the mortar was created heavy concrete-piercing shell with a mass of 2170 kg and 280 kg (according to others, 350 kg) explosive (he). Having an initial velocity of 220 m/s, it could penetrate the concrete wall thickness of up to 3.5 m at a distance of from 2800 to 4300 m Range of defeat ranged units appropriate powder charge and the vertical angle guidance. 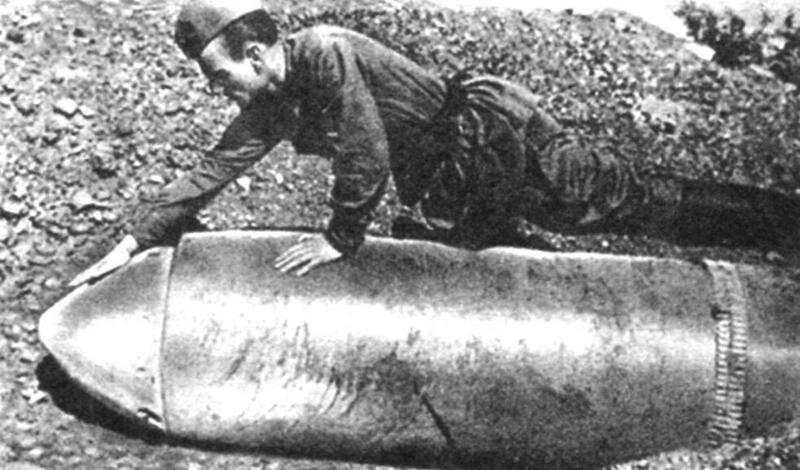 In 1942 he developed a more light concrete-piercing projectile weighing 1,700 kg, which had 220 kg of EXPLOSIVES. With an initial velocity 283 m/s it could hit targets at a distance of 4200 to 6600 m, however, penetrating his ability in the concrete wall was reduced to a meter. With increasing distance decreased and the accuracy of hitting the target. 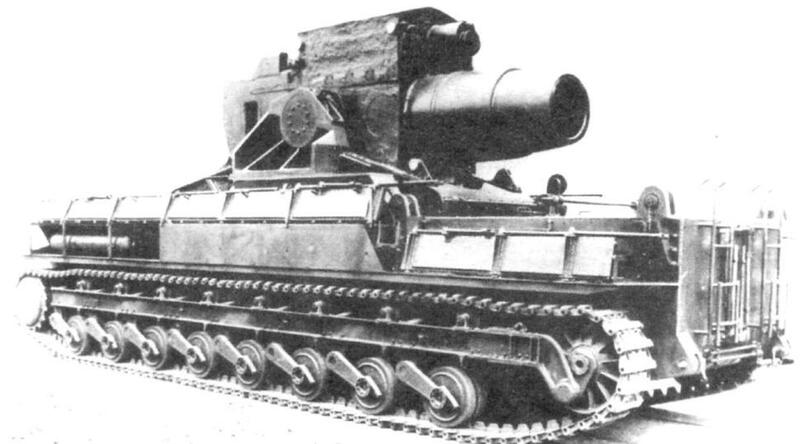 Thus, the results of the test firings in March 1942 the deviation of the projectile from the target at the maximum range made up 94х17 M.
There was also an explosive projectile with a range of up to 6700 m.
Ammunition “Charles” consisted of eight shots separately-tubular loader which transported the crawler transporters of munitions transport and loading vehicles (TLV) established specifically for this purpose on the chassis of the Pz.Kpfw.IV. These cars had a 2.5 ton crane for lifting and stacking of shots on a tray of mortar. Self-propelled carriage could only be used when maneuvering unit without navigation for any great distance because of relatively small reserve. So they had to be transported by highway on trailers unassembled. Even more difficult was the transportation by rail: install hung between the special pationate girder-crane platform; it has raised up over the rails of powerful hydraulic jacks. Total weight of this system with “shipped” at her installation exceeds 180 T.
At the firing position “Carla” came out with two transport-charging machines, loaded with four rounds each. The driver had to turn the car move in the desired direction and then lowered her bottom on the ground. Thereafter, TZM came up and was nearby. 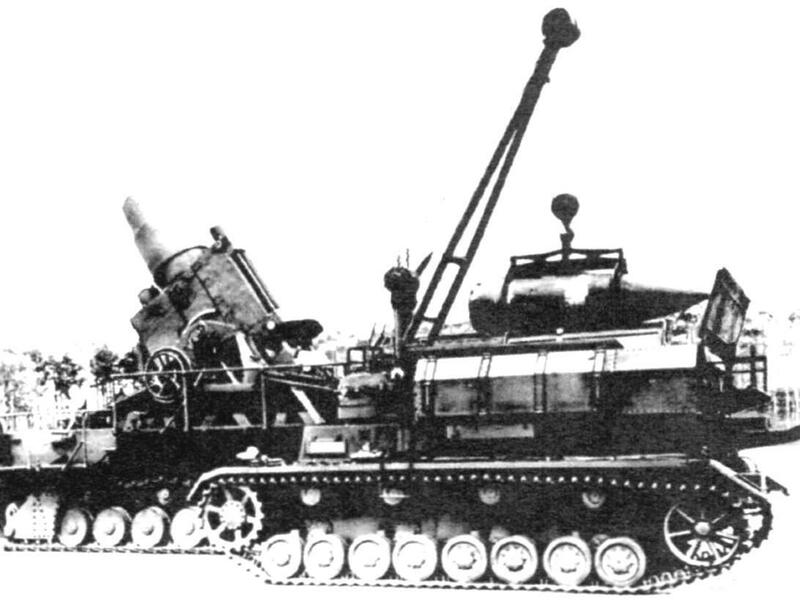 The shell of one of them, the crane moved over to the tray mortar and goilala into the breech by a mechanical rammer; V-valve was locked in the trunk, which is then a mechanism with a manual drive raised at a certain angle guidance; and then further made precise horizontal aiming. After the shot, calculation lowered the barrel in a horizontal position for subsequent loading. Rate of fire was one shot in ten or fifteen minutes. Mortar “Karl” was in service battery 628 and 833 th battalions of artillery special power of the Wehrmacht. In June 1941, two mortars of the 1st battery 833-th division “Adam” and “eve” was delivered by rail to the location of the 17th army of army Group “center” in the district of Przemysl. The first of them fired on fortifications of our “Molotov Line”: with the support of the attack of the 295th infantry division was able to produce four rockets. But “eve” was not lucky in the approach to firing position, she “flew” the caterpillar and she is on fire participated. Soon, however, military army command, guided by the “lack of suitable targets for self-propelled mortars on this stretch of the front,” recalled the installation back to Germany. Two other mortar of the 2nd battery, “One” and “Thor” were used in the capture of Brest fortress consisting of 4-th army. They also arrived on trains in parts and assembled at night on June 19-21. They were placed in positions to the West of Brest-Litovsk in the area of Terespol. The designated target is the citadel and the Northern Fort. 22 Jun mortar “Thor” fired three shots, at the fourth shell twisted in the barrel. “One” shot four times, the fifth shell was defective in the copper guide band. In both guns, they are stuck so that “the gates cannot be closed”. However, the calculations of the next day was able to discharge the gun, remove the jammed shells and 24 June, the shooting continued: “Thor” fired six shells, One – eleven; the – 31. Examined after the capture of the citadel made destruction, military experts found that “a massive brick wall thickness of two meters were broken to pieces and fell inside. In the yard in very hard ground formed a crater 15 m wide and 5 m deep”. Witnesses: “… the gaps created clouds of smoke and dust with a width of 300 m and a height of 170 m”. About kukri and modernity can read on this website. It should be noted that the use of mortars at Przemysl and Brest-Litovsk in the public documents, there are differences. Some stated, for example, Przemysl acted “Adam” and “eve”, others, on the contrary, they participated in the bombardment of Brest fortress. March 4, 1942 833-m division had received an order to redeploy to the army Group “South” under the Sevastopol. Stated, inter alia, that the district Assembly plants was at a distance of 4 km from the front line. Here arrived mortar “Odin” and “Thor” on their own secretly crept at night to firing positions, fired several shots and again goes to the rear. Their targets were stationary coastal battery 30-I 35-I, who was in the Fort “Maxim Gorky I and II”, covering the entrance to the Bay. Starting 2 June, the attack was conducted on the 30-th battery On June 7, was released 122 concrete-piercing and explosive shells. 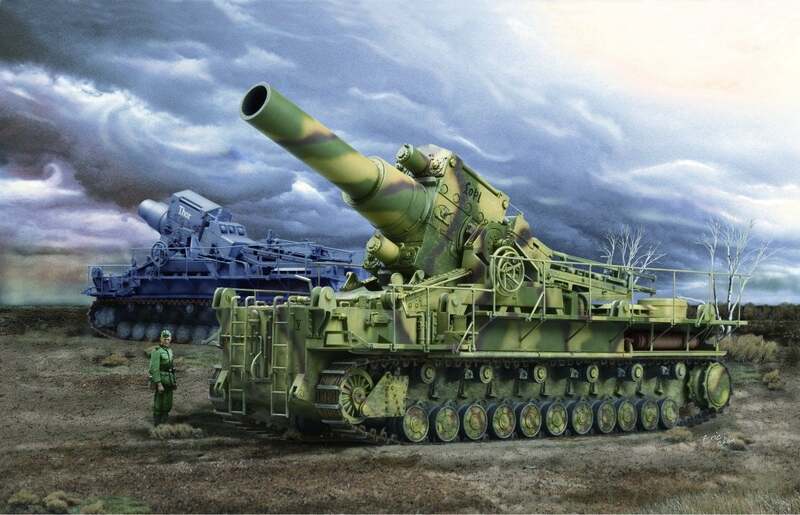 As a result, the battery was completely incapacitated, was destroyed by a three-meter reinforced concrete underground vaults, destroyed its 305-mm guns. 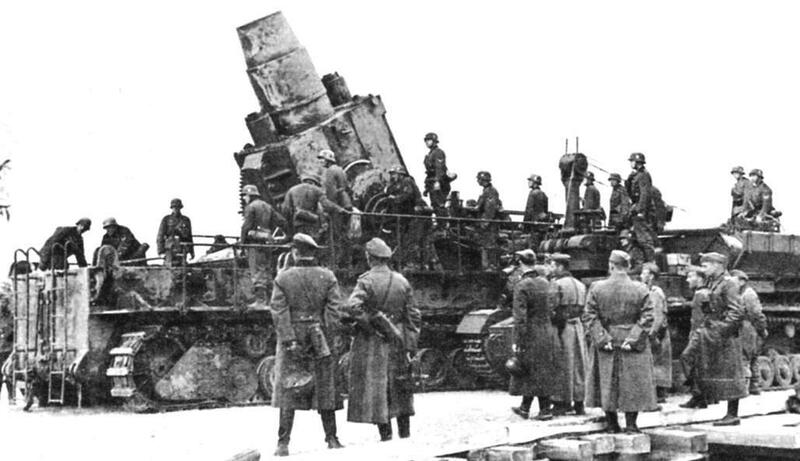 However, the German gunners with bewilderment, it was noted that 40% of the shells either did not explode or burst into several large pieces without chips. 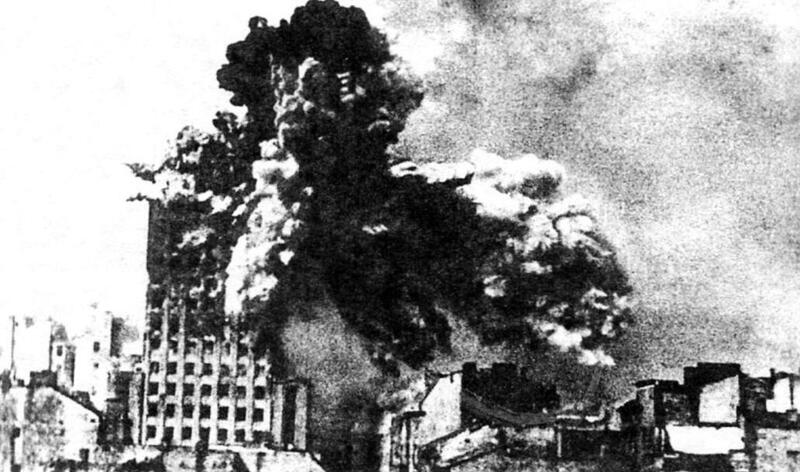 The following use of facilities applies only to August 1944, when the mortar “EIC” participated in the suppression of the Warsaw uprising, shelling the rebellious city. 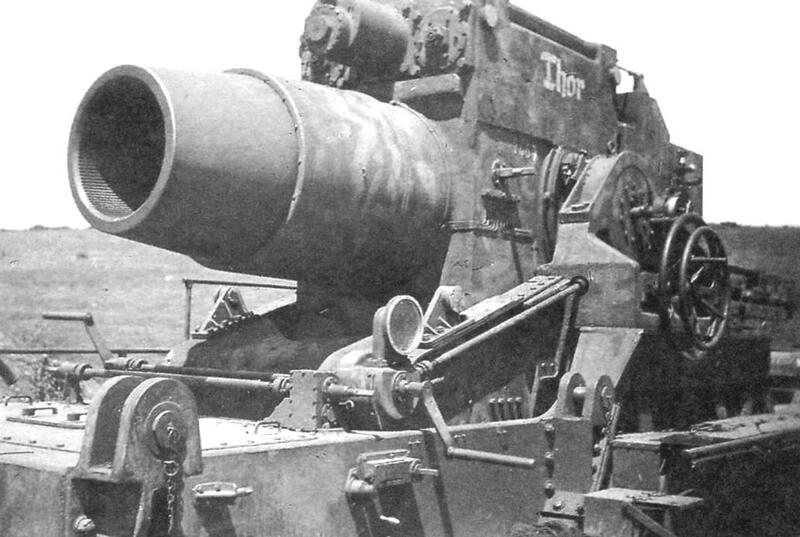 Finally, with the beginning of the allied offensive in Normandy, here was deployed several cannons “Karl”, which operated in defensive operations. However, their expected disastrous fate. So “Thor” in the summer of 1944 were seriously damaged aircraft. “Loki” and “eve” was undermined their calculations, as One, because of impossibility in time to evacuate them from the rapidly advancing allies, who got only their mutilated body. However, according to other sources, these mortars between March 21 and April 11 was damaged during transportation by rail and were captured by the Americans. One of the mortars was captured by Soviet troops and called “Adam” and is now kept in the Museum of armored vehicles in Kubinka. The fate of the other guns remained unknown: probably, they were destroyed by the Germans somewhere in the retreat. Noticed mistape? Highlight it and press Ctrl+Enter, to inform us. What do you know about model airplanes? How to deliver a car to rent?